For the next few Odd Ball Challenges, I’m going to submit photos that I consider to be painterly. You may not be able to figure out what it is, but I think it works as a composition. I accept all guesses. This entry was posted in Cee's Odd Ball Challenge, Cee's Odd Ball Photo Challenge, Uncategorized and tagged Cee's Odd-Ball Photo Challenge, Painterly on November 25, 2016 by lifelessons. Thanks, Hirundine for the perfect title for this photo. This entry was posted in Cee's Odd Ball Challenge, Uncategorized and tagged Cee's Odd-Ball Photo Challenge, humorous image, humorous photos, Pedicure on April 17, 2016 by lifelessons. You saw part of this unusual choice of costume in my Xmas post, but I saved the photo of the entire ensemble for Cee’s Oddball Challenge. If this doesn’t qualify, I don’t know what will! My brother-in-law bought the suit for a joke. We added the glasses, cap and antlers. I think you’ll agree that he qualifies as a good sport!!! I’m wondering what he will come up with for New Years!!! This entry was posted in Cee's Odd Ball Challenge, Uncategorized and tagged Cee's Odd-Ball Photo Challenge, Christmas, Christmas image on December 27, 2015 by lifelessons. A few years ago, three friends and I went on a scouting party to find new artists for the Maestros del Arte Feria. Somewhere near Puebla, we took a back road and chanced upon this strange sight. We never did figure out what to make of it. 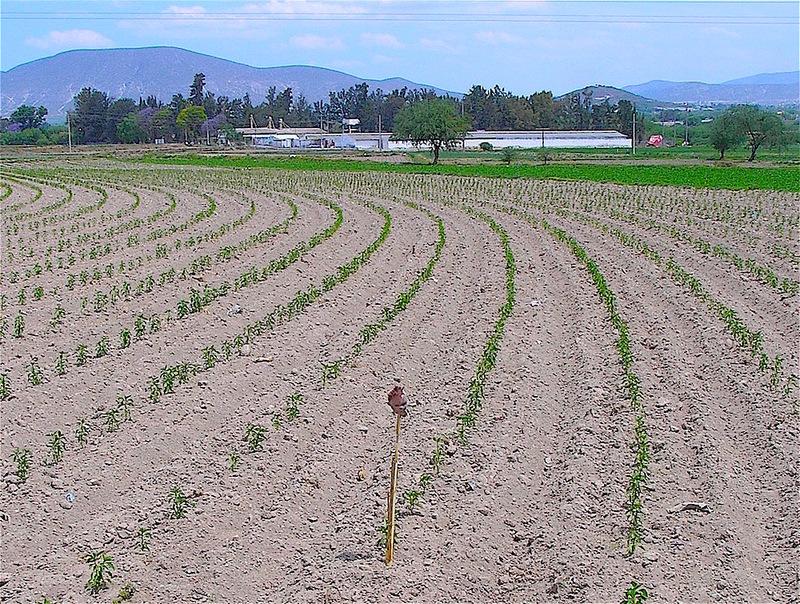 It was in farm country–no rare commodity in Mexico, where rural is the norm. This farm looked modern in most respects. But as we zeroed in on the details, it felt as though we were going back in time to some pagan rite. Was it a joke? Some local custom? 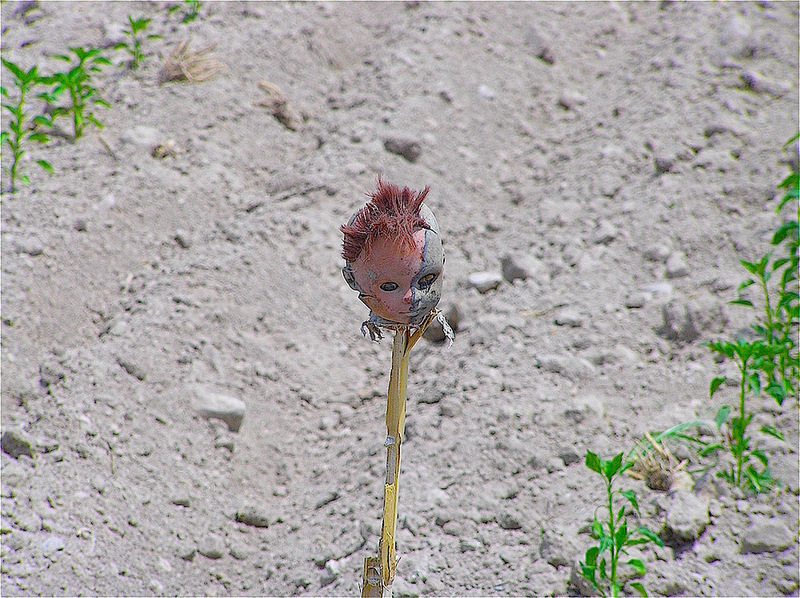 A random coincidence of someone finding the doll’s head and sticking it on the stick in the middle of the crop rows? We’ll never know, but as you can see, I couldn’t resist pulling over to take a few shots. Not the weirdest thing that happened on our trip, but certainly the weirdest sight. 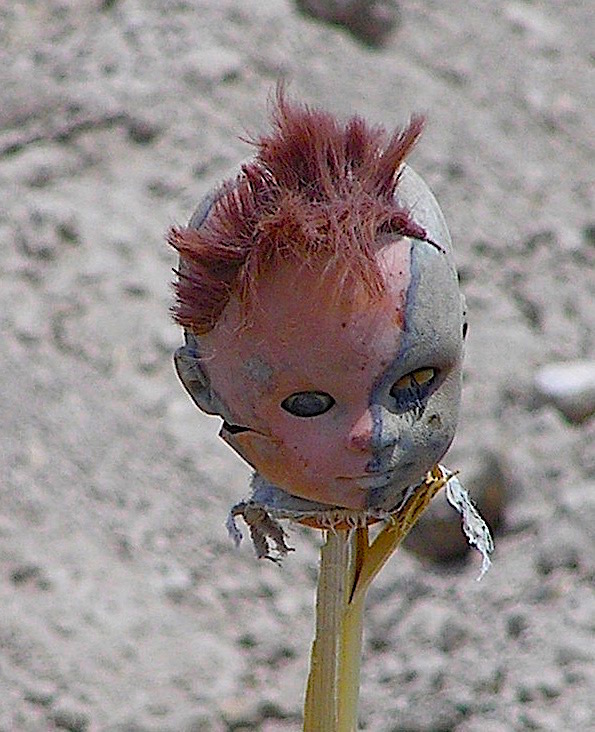 This entry was posted in Cee's Odd Ball Challenge, Judy Dykstra-Brown photos and tagged Cee's Odd-Ball Photo Challenge, Judy Dykstra-Brown Photos, Pagan Rites, Strange sights on October 12, 2015 by lifelessons.